With five (and, counting) Isetan Shinjuku exclusive limited edition releases, Dior's Beauty counter has my inner Indiana Jones pursuing precious beauty gems through the remote villages of their cosmetics jungle, while fighting off perfume Nazis. 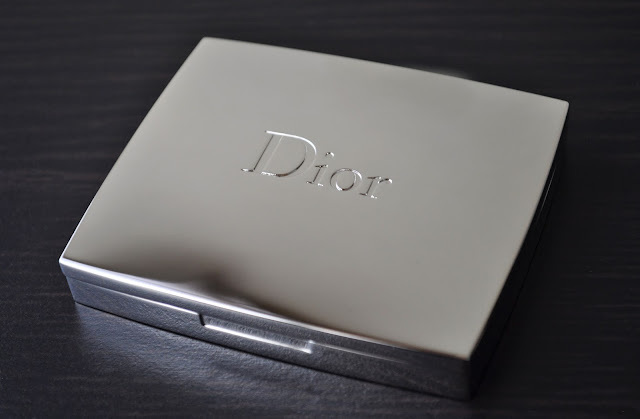 Gotta love the "can almost be considered a weapon" heft of Dior's mirrored, silver packaging. The Dior Label Glowing Colour Blush Palette in 004 was part of the Backstage 2016 Blue Nature Spring Collection. I was going to include the other shades of these blushers (released last Fall) I have, but I'm in the midst of reorganizing my blushes, but I have no clue where they are...and, no time to excavate. 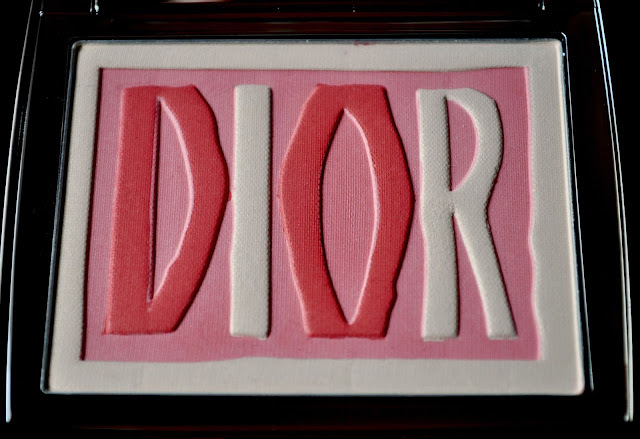 Featuring three hues (a coral-pink background, a cream boarder, I and R, and a soft, reddish-pink-coral D and O), the embossed Dior lettering on this attractive blush is an homage to the 1967, Pret-a-Porter Miss Dior, illustration by Gene Gruau. 004's lettering makes it nearly impossible to get an isolated swatch of the coral-pink background. Using the tip of a sponge tip applicator, I was able to pick up the coral-pink from the middle of the "O" (which I tried, but it was taking forever, and I was going crossed-eyed). A small eye brush will be needed in order to solely grab the cream shade. I'm so happy I'm able to segregate the reddish-pink-coral of the "D" and "O" with a small blush brush, because I'm infatuated with the color. I hope the colors of the letters goes all the way to the bottom of the product, for I will shed a tear if I lose them. Originally, I was only going to photograph a swatch of all three shades mixed together, but I can't do things half-measured, and individually swatched the "D" and along the boarder. When all three of the shades are combined, you get a soft coral-pink-peach. The shade is very natural, and great for those low-key makeup days. 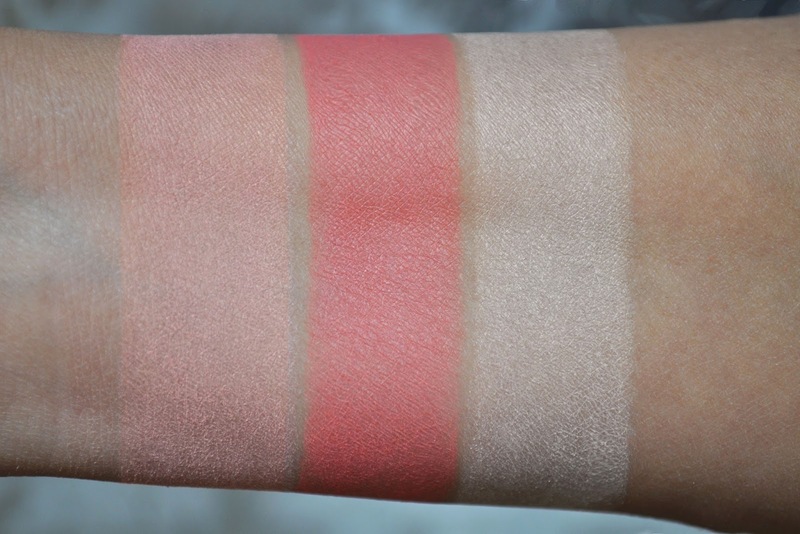 Pigmented and velvety smooth, when blended, the blush becomes one with the skin. Another aspects I'm smitten with is the finish; a blush and highlighter rolled into one. The luminous satin sheen is subtle, and looks as if it's coming from the skin underneath. I don't believe the Dior Label Glowing Colour Blushes have made their way outside of Asia? If not, maybe they'll pop up sometime in the near future? 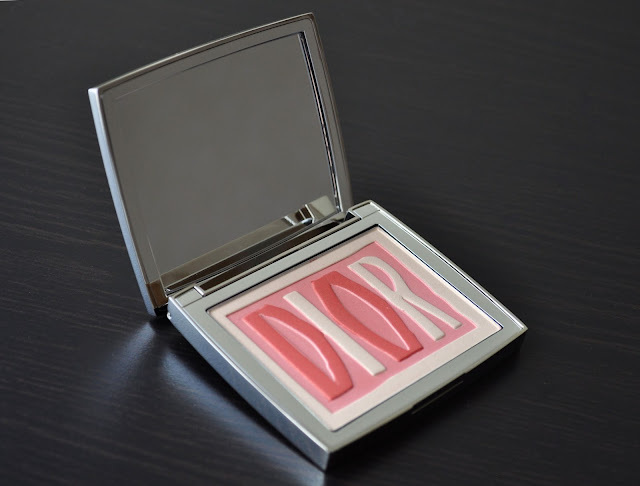 The Dior Label Glowing Colour Blush Palette retails for 7,560 and contains 10g/ 0.35 oz. Oh my! This is soooo pretty. I have said that I won't buy makeup products until the third quarter. But seeing this!!! I guess I have to break that rule.